if you know us at all, you know that we are not big sports fans. when it comes to sports, we usually don't know what is going on. we typically do sit down to watch the super bowl each year, but only because we want to see the infamous commercials and the half-time show (and because it's an excuse to eat football-type food). 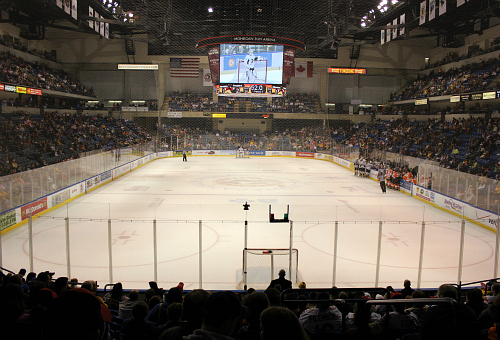 so, you might find it pretty hard to believe that we went to an ice hockey game on saturday night. the university where we work was offering discounted tickets for saturday night's game, so we thought we would make a little date night out of it. 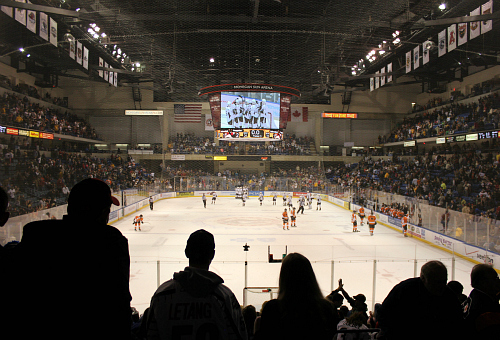 our seats were right behind one of the goals, so every time the players would head toward the goal, i flinched. i can't believe how fast they move and how hard they throw each other around. (two players snapped their hockey sticks in half!) thank goodness there was a plexiglass partition between them and us! 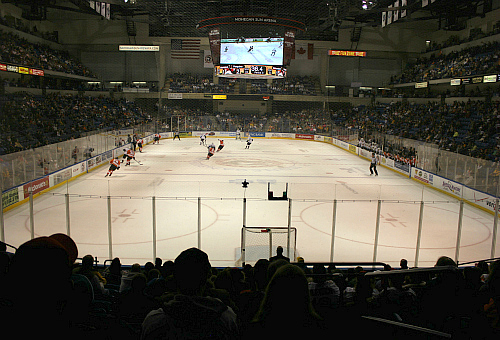 the wilkes-barre scranton penguins played the adirondack phantoms, and the penguins won (2-1). overall it was pretty neat, but i still think hockey is incredibly too violent for my liking. Something different is always nice even if it means stepping out of your comfort zone.